Hiring a copywriting service to share press releases is important for your business. Press releases aren’t something new in business. These releases have been used for many years to give information about the company to the media so they can spread the news to the general public. While the idea of press releases is not new, the way they are used has changed drastically through the years. 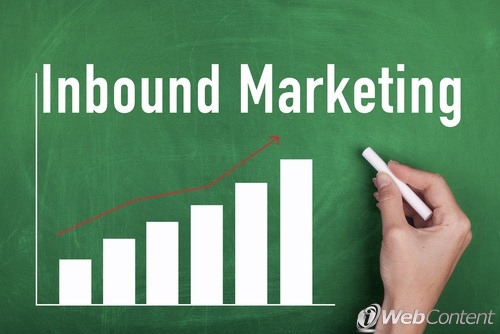 Today, they are an integral part of your inbound marketing. To fully take advantage of this important aspect of your marketing, you need an article writing service and a content writer who understands the differences. One of the biggest differences in older press releases and modern versions is how they are distributed. For instance, in the past, when a company wrote a press release, they would distribute it to the local media and potentially to larger markets as well, such as regional and national media outlets. If the media was not interested in the release, it would not reach the company’s audience. This is no longer the case. With the use of press releases on the Internet, companies can submit press releases to a variety of sites dedicated to distributing these documents to major online news outlets, as well as other websites. This can reach a much larger audience than past press releases. You don’t even have to rely on other websites to spread the news. Many businesses also have a news section on their own websites where they can also post a press release. This will help a website reach the audience they already have with their news. The best thing to do is to post it both through a PR distribution site and on your own for the best impact on your inbound marketing. Social media is another new player in the press release arena. When you ask your article writing service and content writer to create a press release about the newest information about your business, you no longer have to worry about how far it will reach through local, regional and national media outlets. Many online press releases offer social sharing opportunities that allow individuals who are interested in the topic to share it with all their friends and followers. This can greatly increase the amount of exposure your inbound marketing receives. The beauty of online press releases that you are responsible for distributing is you can use them to announce anything. In the past, it had to be a topic the news media was willing to cover because it would bring them ratings as well. While it is still important to use a newsworthy approach for your press releases, your content writer should be able to spin just about any announcement from your business into a suitable form to distribute as an online press release. The key is to make the content sound like an announcement, rather than an advertisement for your business. The truth of the matter is that the press release really hasn’t changed much over the years. The media through which it is distributed may have changed drastically, but the core purpose of this type of inbound marketing has remained relatively unchanged. The goal is still to provide your potential audience with information about your business that will capture their interest. Even though the press release isn’t likely to make it on the nightly news or even your local newspaper, it can be picked up by any number of online news outlets and even other websites, further expanding your reach. Press releases are still an important part of marketing your business, particularly in the area of inbound marketing. Whether you write them yourself or you hire a content writer from an article writing service to write them for you, you will be able to make important announcements about your business that will attract the attention of your audience. The end goal for writing these important documents is to bring more traffic to your business, although the methods through which the information is sent is what has changed. As long as you know how to use these releases effectively, you will see a difference in your site’s traffic. If you need help writing press releases for your business, contact us to find out how we can help.